A charming holiday apartment in the attractive town of Gatehouse of Fleet within easy reach of all the Town's attractions and facilities including pubs and hotels serving excellent food together with local shops and the popular Mill on the Fleet Exhibition Centre. 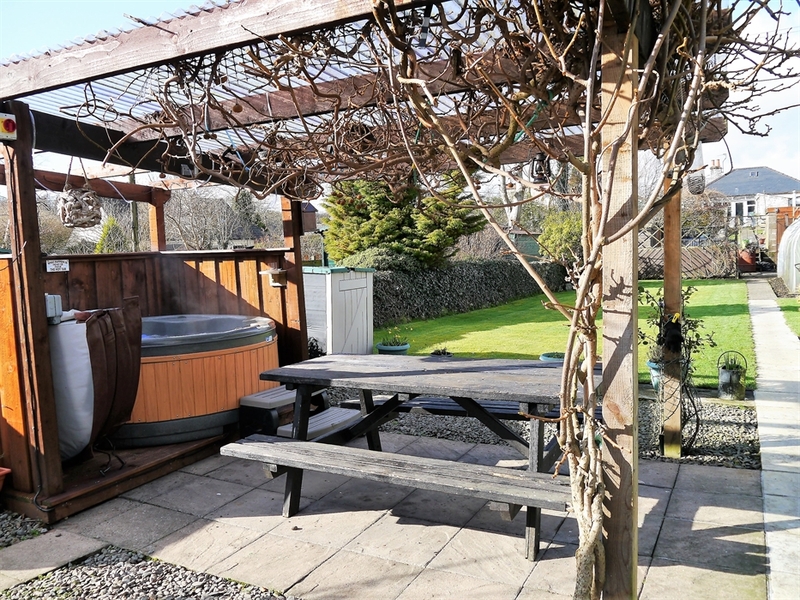 The apartment has been recently refurbished to provide well equipped comfortable holiday accommodation with a quiet attractive garden including hot tub set under a trellis with Kiwi bush, the garden is shared with the owners. There are attractive walks within the Town itself and these join other routes going out of town. The path to the Cally Palace Hotel through the Cally Estate woodlands is not to be missed at snowdrop and bluebell time! At the near by coastal villages. The area provides interest for all including ancient sites such as Threave Castle and Fleet Castle together with chambered cairn at Kirkdale.